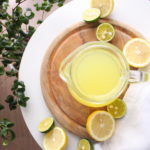 One of my friends told me about this fresh lemonade syrup recipe. I tried it and I loved it! She is from the US and she always makes this syrup for her kids in the summer. I’ve enjoyed it with water, sparkling water, and I’ve also freezed this syrup and made lemon sorbet. 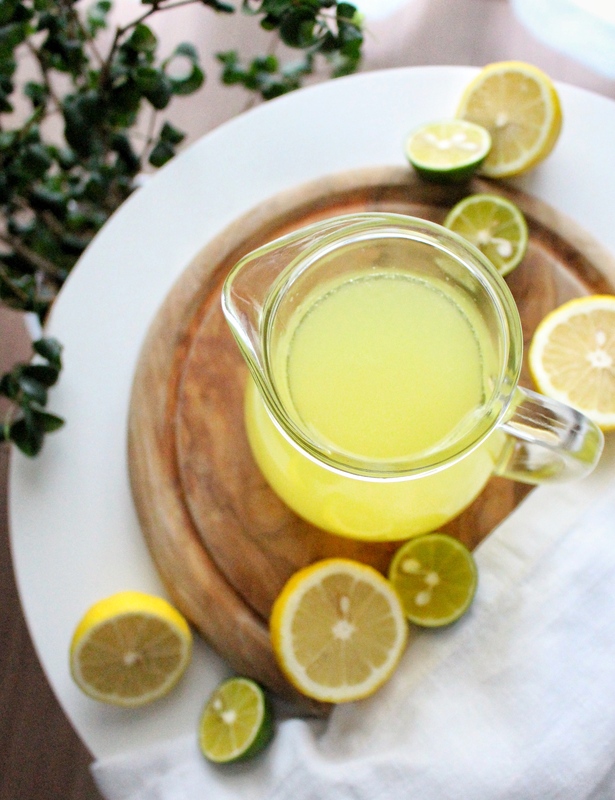 This recipe is old fashioned, freshly squeezed lemonade using real lemons. We also add fresh lemon zest, so I recommend using organic lemons. 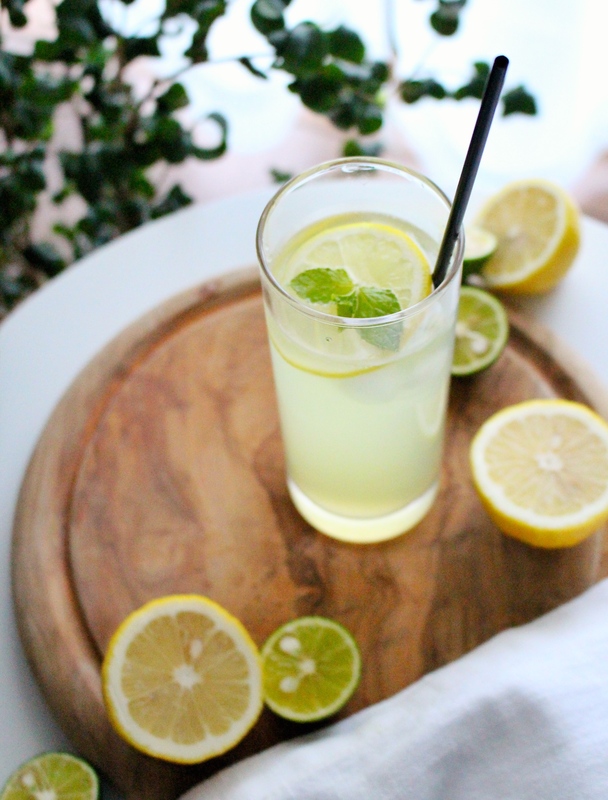 We don’t make homemade lemonade at home very much in Japan, but I’ll definitely make this in the summer from now on! Zest 2 lemons and put it into the sugar. Press and roll each lemon over your cutting board. This will help them to release their juice. Cut in half and squeeze. Make the simple syrup. Combine the sugar with lemon zest and water in a small pot, bring to a boil and dissolve sugar. Strain together chilled syrup and lemon juice into a pitcher. Mix it with water or sparkling water and enjoy! You can add pulp but it’s better to remove the seeds.